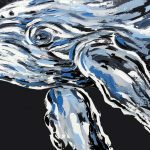 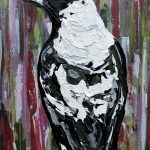 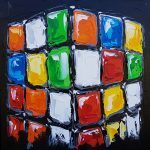 I am an artist that does not like to be confined to one medium or technique. 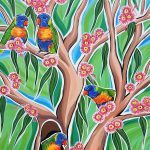 I love colour and I love to accentuate the hints of colour that you see within nature. 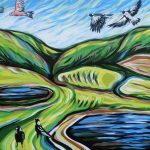 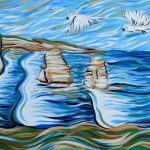 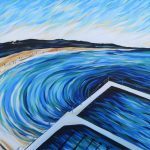 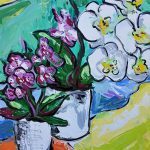 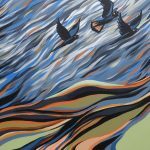 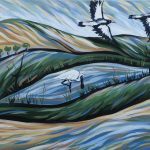 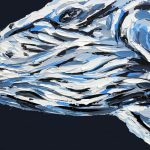 I am an artist based in Wollongong, NSW, I grew up here between the mountains and the sea. 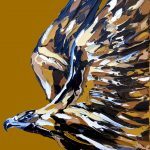 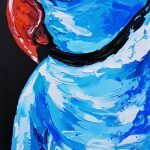 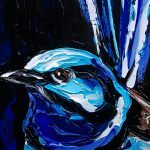 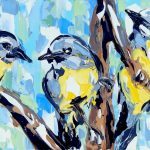 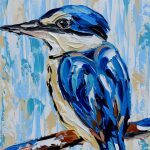 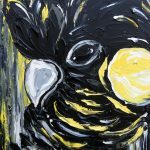 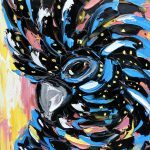 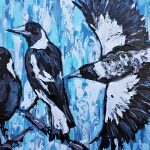 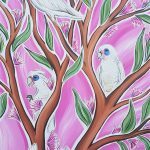 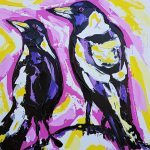 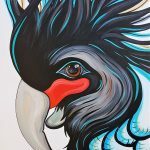 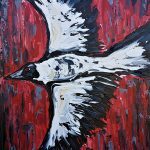 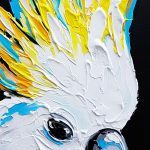 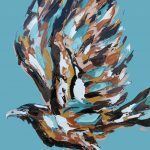 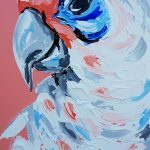 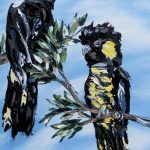 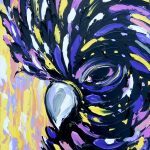 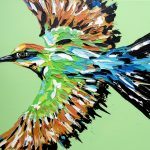 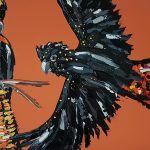 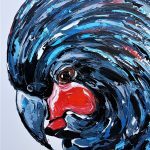 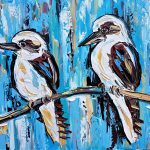 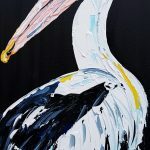 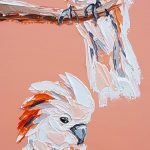 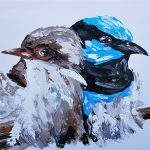 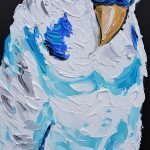 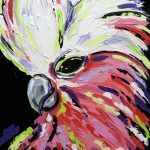 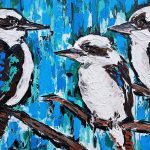 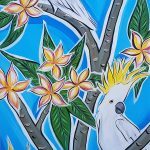 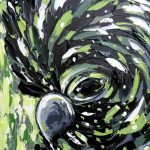 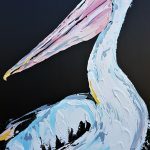 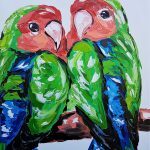 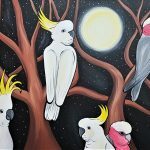 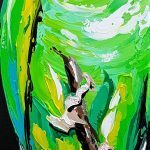 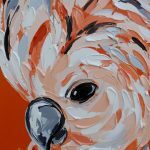 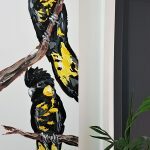 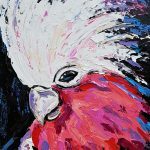 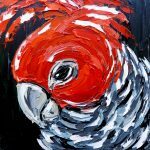 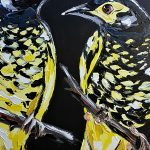 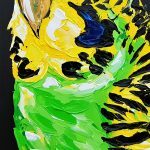 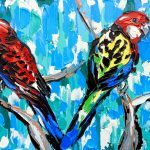 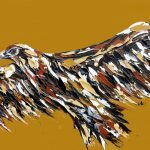 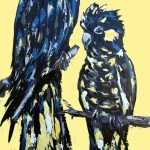 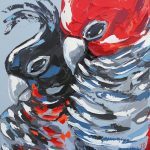 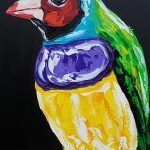 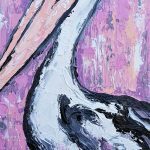 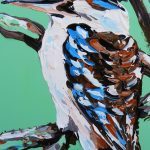 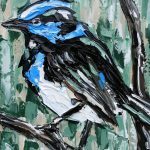 My passion lies in painting with bright and bold colours, Australian native animals, especially birds make up a lot of my inspiration. 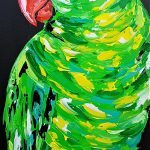 I like to accentuate the hints of colour I see within my subject matter. 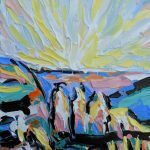 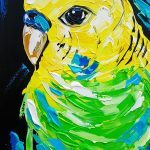 I love painting with a palette knife and I use mainly acrylic paints. 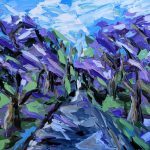 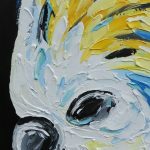 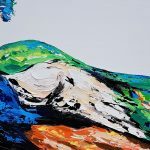 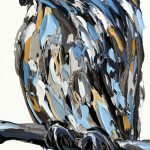 I love to add texture to the canvas with deliberate strokes that give the subject matter definition without it always being obvious. 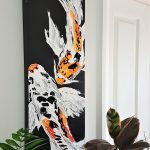 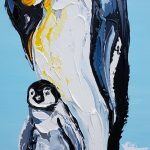 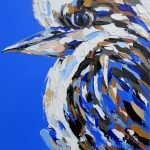 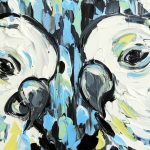 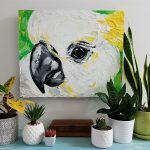 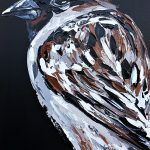 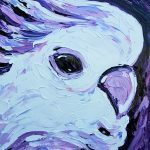 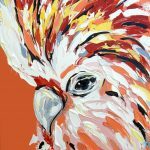 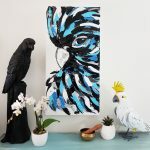 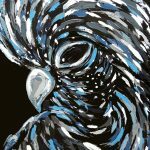 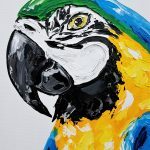 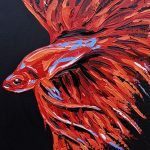 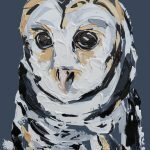 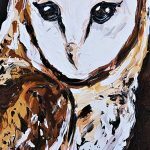 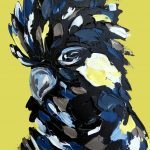 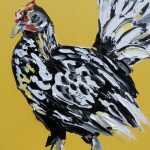 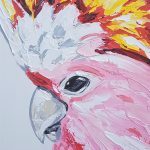 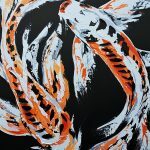 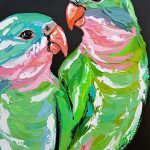 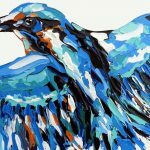 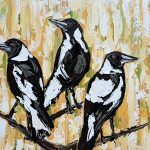 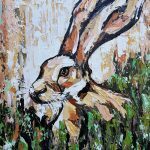 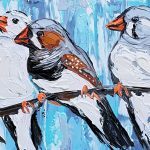 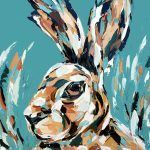 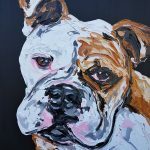 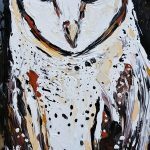 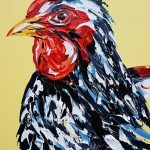 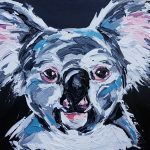 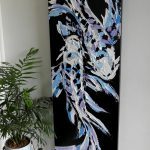 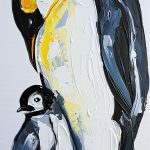 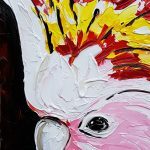 I am a full time artist working from my home studio, I try and paint almost every day in between looking after 2 school aged children, 3 cats, 2 dogs, 5 fish tanks and two birds, you may now get the idea why I am so inspired by animals. 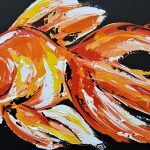 We also do a lot of camping with the kids and I find great inspiration from seeing new sights.I once read a quote that said ‘The desire to create is one of the deepest yearnings of the human soul’, I am not sure who said it, but it sure resonates with me and it has been a desire I have had my whole life, from winning my first colouring in competition at the age of 2, to the desire that still grows inside of me now. 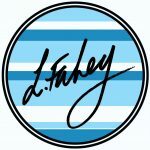 I can’t imagine doing anything else for a living after I have been so fortunate to do so well these last few years.